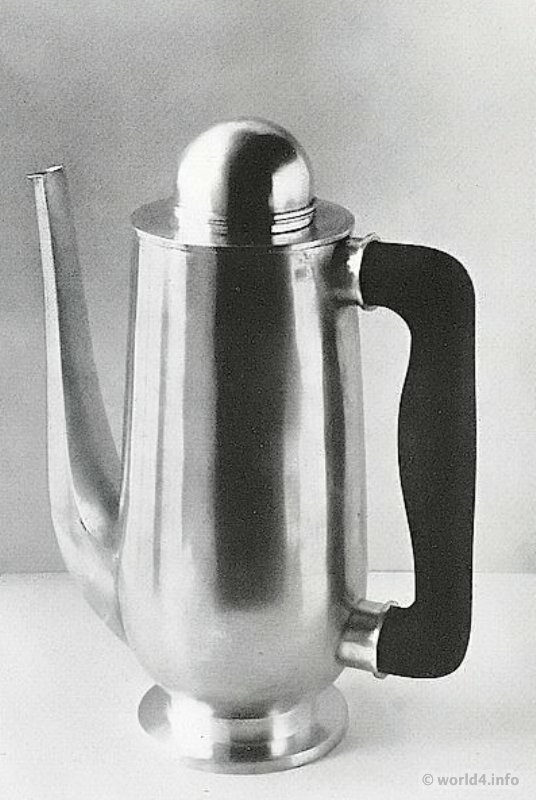 Coffee pot. Silver with wooden handle. Design Wolfgang Tümpel. Published: The Form – Journal of creative work in 1929. Wolfgang Tümpel, 1903-1978, was a German Bauhaus designer, goldsmith and university teacher at the Academy of Fine Arts in Hamburg. Next PostAntique toys from Bohemia 1900.